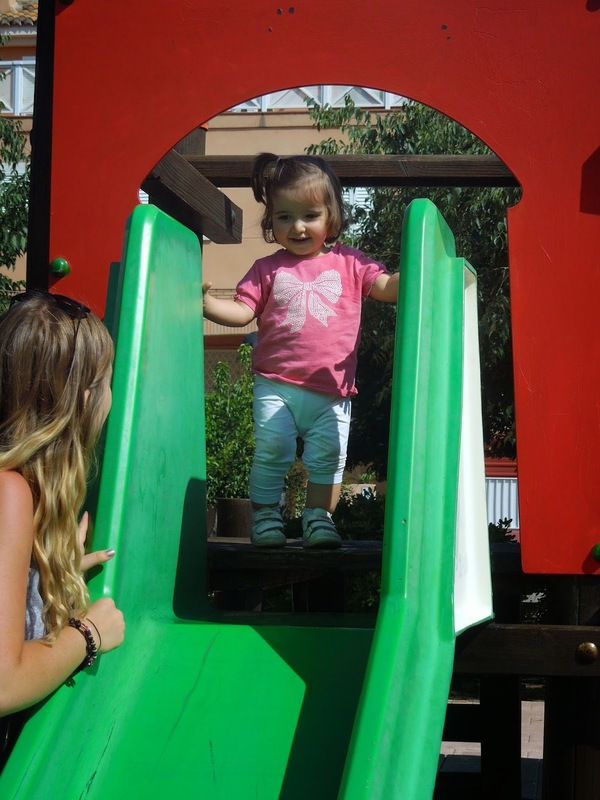 Expllora: So.. What does an au pair do exactly? Today’s post is going to be a bit more on the personal side of things as I am writing about exactly what I do as an au pair. The next few posts about my personal experience will be quite detailed and may not interest all, so just keep on scrolling if these posts aren’t to your liking! Me and my lovely host family at Mirador de San Nicolás on my first day in Spain. Firstly, I should introduce my wonderful host family here in Granada, Spain! In the photo above, we have the children at each side (I hope you worked that one out for yourselves). Pablo, on the left, is three (almost four now) years old and loves puzzles and taking selfies. Marta, on the right, is one year and eight months old and loves cows, eating and drawing cats and dogs. Holding Pablo is Carlos, the father, who has an awesome design/photography business and makes the best homemade Salmorejo in Granada (fact). Lastly, we have Yasmina, the mother, who is holding Marta in the photo. She is an early childhood teacher and one of the most lovely, caring and patient people I have met. She also makes damn good food. I am so lucky and grateful to have such a fantastic host family - they are seriously the best. 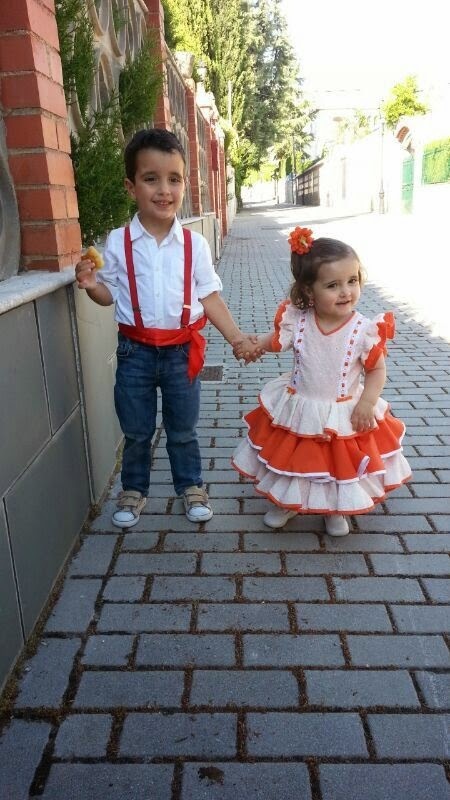 Marta and Pablo dressed in traditional Spanish clothing. Now, you may be wondering what exactly I do during my “working” hours. During the school term, Yasmina and Pablo get home from school at around 2:30pm. Yasmina works as a teacher at the same school that Pablo attends so they come home together. We then all have lunch together, with Carlos joining us in his lunch break from work. In this time, Marta is still at pre-school. The rest of the afternoon would depend solely on what the family has planned for that particular day. If there is nothing planned, I will play with Pablo with his toys, with a ball, puzzles, play-dough, drawing, painting, stories (in English of course) etc. There are countless different things to do! Sometimes this time will be spent with just Pablo and me but often it is with Yasmina too. At 5:30pm, Marta finishes pre-school. Some days I will pick Marta up from school (it is in walking distance from the house), and stop by the park to play. Marta and I playing in a park close to home after pre-school. Other than general playing, keeping the children entertained and incorporating English into all of this, my duties include dinner and the nighttime routine. Some days I will make a simple dinner for the children, but most of the time there is something pre-made that can be easily heated. Following dinner is a shower, getting into pajamas, sometimes some more playing and finally a story (or two, or three…)! Then it’s off to dreamland for the kiddies and by this time I’m pretty exhausted, so it’s often straight to bed for Ellora too! On that note, one thing I’ve learnt about living with kids is that it’s constantly “go, go, go!” so by the end of the day, you’re just as ready to fall into bed as the kids are. Fun times. 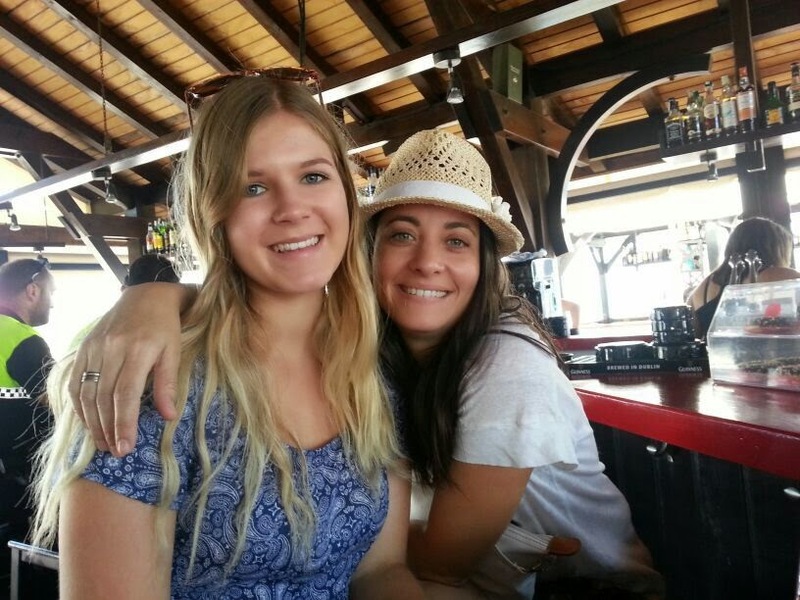 Yasmina and I at Hoyo 19, a beach bar in Playa Granada. I really, really enjoy my “job” (if you want to call it that), as I get to spend time with some of the cutest kids in the world and learn a lot about parenting stuff too. In addition to this, I get to experience a new culture and country. This makes for a pretty fantastic gap year!! 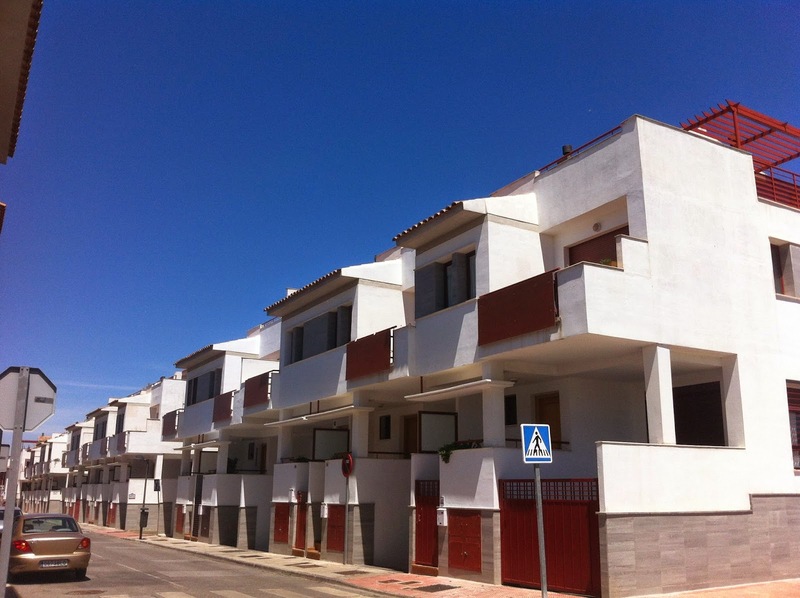 I’ll leave with you with a couple of photos of my neighbourhood/house as some people may be interested in what it looks like here in Spain! Once again, thanks for reading my friends! Hi Ellora. My name is Kayla and I found you through an article on NomadWallet.com. 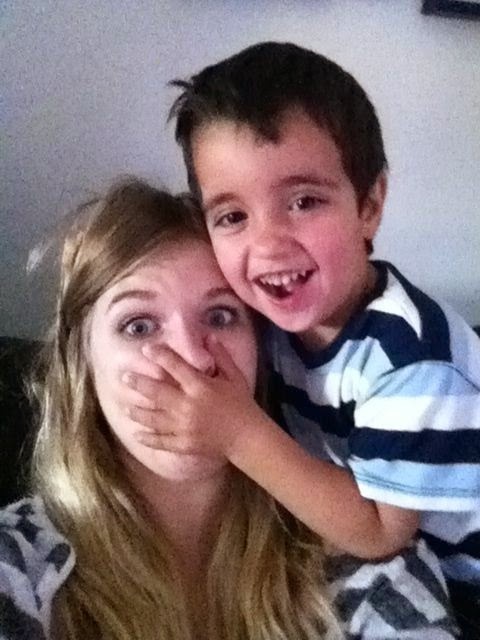 I am very interested in traveling to Spain and becoming an aupair. I recently made a profile on appear.com but haven't found the perfect family yet. Wondering if you could give me any tips? Thanks! Hey Kayla! Lovely to hear from you. Also awesome to hear you want to go to Spain specifically to be an au pair - I can guarantee you won't be disappointed, it's such a great country. I can't say I've heard of appear.com but I used a website called aupair-world.net. You make a profile (as do the families) and can then find families that match your preferences or just search all families in a country or whatever. The other thing would be to talk to as many families as you can! For example, if you find a family you think sound really great, ask them if you can have a few weeks to think about it (keep talking/exchanging photos) but also talk to other families - that way you'll really get a good idea of what's out there and you may just find an even better suited family! I know I'm a bit late reading this, hope you still get the comment! I'm taking a gap year 2016-17 and I'd quite like to do an au-pair thing in France or Germany (or maybe even both) - so I was wondering what company did you use to find your host family, and do they work outside Spain? Or do you know of any other good French & German companies that maybe your friends have used?